We are pleased to announce the 4th Annual Mel’s Jingle Run and we’re excited to invite you to be a part of it. A holiday themed 5K race that supports various charitable causes in our community, Mel’s Jingle Run is becoming a Christmastime tradition. 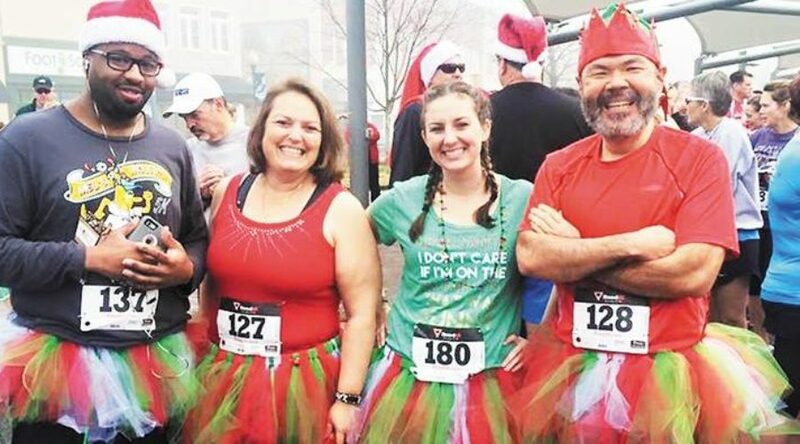 Join us on Saturday, December 8 at 9 a.m. on Union Square in Downtown Hickory to celebrate the season with the most jolly, fun-filled, festive 5K in our region. This year, we’re partnering with The Family Guidance Center of Hickory. All race proceeds will benefit this indispensable organization that offers a variety of counseling services for both individuals and families, as well as provides domestic violence services and a shelter for battered women, giving safety and compassion to those who need it most. The Family Guidance Center’s services reflect their belief that families are the cornerstone of society and that strong families build strong communities. We’re proud of this organization and all that they do for our community. We’re asking for your help in raising necessary funds to assist The Family Guidance Center in continuing their excellent service to our friends and neighbors. Please consider sponsoring Mel’s Jingle Run. Not only is it a family-friendly community event, but it also provides encouragement and support to non-profit organizations doing the important work that makes our city a great place to live. Please review the attached sponsorship form and let us know how you would like to contribute. For information about the Family Guidance Center, browse this website and for more information about Mel’s Jingle Run, checkout our Facebook page at www.facebook.com/melsjinglerun. Online registration and details for the race can be found at www.runtimeraces.com. If you have any questions, please contact us at (828) 446-4248 or email melsjinglerun@gmail.com. We appreciate your role in the business community and all that you do for our city. We look forward to partnering with you in this worthy endeavor.